Activision CEO Bobby Kotick either put his foot in his mouth or is oblivious to the number of successful independent studios still in business. 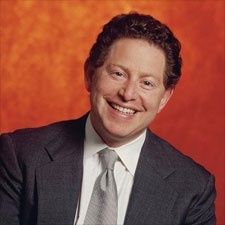 Bobby Kotick can't seem to catch a break, but this time he may have no one else to blame but himself. At a recent media conference where he provided a bunch of newsworthy quotes, he also called Bungie the last "high quality" independent studio left standing. "Bungie are a very unusual company," he said. "They're probably the last remaining high quality independent developer. It's very hard to [pause]... that has sort of has institutional skills and capabilities. And they're a real company." He then detailed how Activision was Bungie's "only choice" to publish its next title. Let's go over what this means. If the quote isn't somehow taken out of context, and isn't being misinterpreted, it means that studios such as Valve and Epic are putting out terds according to Kotick. Worst case scenario, other studios like Insomnac Games, Sucker Punch, Double Fine, and countless other smaller guys that still put out great games are taking it on the chin here. Maybe he was speaking in terms of sales, but even if he was Valve sells something like a trillion copies of every product it puts out. To be ignorant of that fact is not becoming of the CEO of one of the largest videogame companies in the world. I'm a benefit-of-the-doubt type of guy so I'm guessing Kotick made this statement on the spur of the moment and wasn't exactly realizing what he said, but jeeze, this is kind of a rough one.